Toy Factory, a fictional factory that brings old posters and attributes into this age, primarily through the use of bright and beautiful colours. 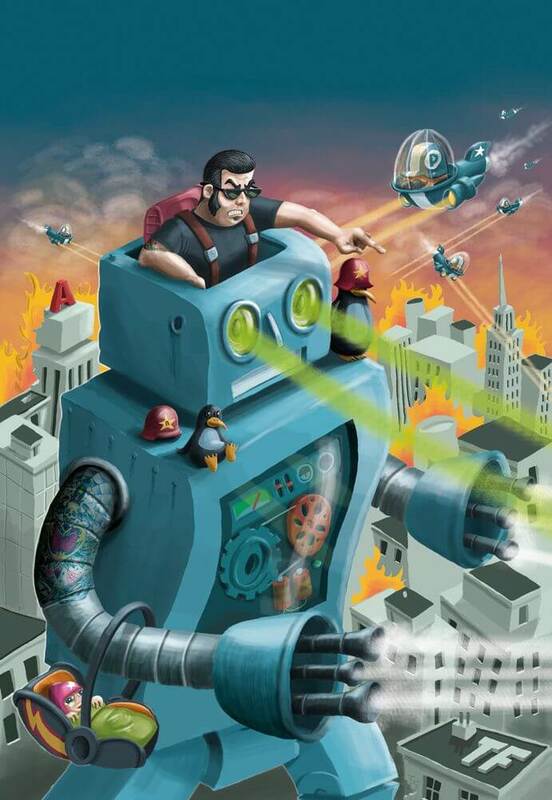 Toy Factory is the alter ego of Sam De Buysscher. Who started to work as an illustrator in 2003. My training is in graphic design. I find graphics and especially typography fascinating and that experience helps me in my creations, but my heart is in illustrations. I had to teach myself how to illustrate; it is a constant need to create that has brought me where I am today. I have always drawn, but I only learned the craft by investing in myself and by constantly comparing myself to those that are better than me. The thought that I can learn and improve every day makes me very happy! Have you always worked in the same style and theme over the years? I never specifically went looking for a style, but you do notice that people still recognise your work so there will still be a specific style. I have put a lot of energy into my search for the right use of colours. For me, this is as important as the image I create. By now this probably has become my trademark. My approach has greatly changed. At first, I immediately started drawing in Illustrator and everything was very angular and symmetrical. To give my creations more character I switched to sketching first. The purchase of a Wacom was a revelation and inspired me to colour certain sketches in Photoshop. A few months back I started painting and I really like it. I have no fixed themes that I work with. I just follow my feelings and the inspiration of the moment. Toys have always been the common thread though, and I also like to bring everyday objects to life. Feeling you can take any direction you want is an enormous freedom! What inspired you? Are there any great examples that you look up to and why? The biggest inspiration for me was undoubted “House Industries”, who are so great at everything they do, from fonts and illustrations to their graphic design work. The whole atmosphere they project was so great that I wanted to achieve the same thing. For me, that was the birth of the Toy Factory, the fictional toy factory. I could add an endless list of names of people I admire but I fear that would make this page very long and boring. There are so many wonderful artists on this planet who inspire me. I am always looking for people who create great things because of their passion, drive and talent and who continue to grow in what they are doing. They inspire me and push me to work even harder and learn even more. You should not be discouraged by people who are better, they really are the best teachers! What techniques do you prefer and why? The first year I worked exclusively in Illustrator. I found and still find this a very versatile program with which I can work fast. Even the mere fact that you can continue to enlarge your images in a good quality was a huge plus for me. I feel I have truly explored the boundaries of Illustrator. In some cases, the program even crashed due to a “complex file”, so be careful with those little effects and shadows. Later I first started sketching and in so doing I rediscovered drawing and since then I’ve also started colouring in Photoshop. This gave me a better result than Illustrator (less tight). The colouring is best done with a drawing tablet (Wacom), really the best buy ever! This year I also started painting again and hopefully, I can continue to push my limits with that as well. What do you think is the best part of being an illustrator? I do what I love doing and I get paid to do it, that alone is great. It gives a wonderful feeling that there are people who want your illustrations. You feel you exist and this way my illustrations get added value. The best assignments are those where you have complete freedom. 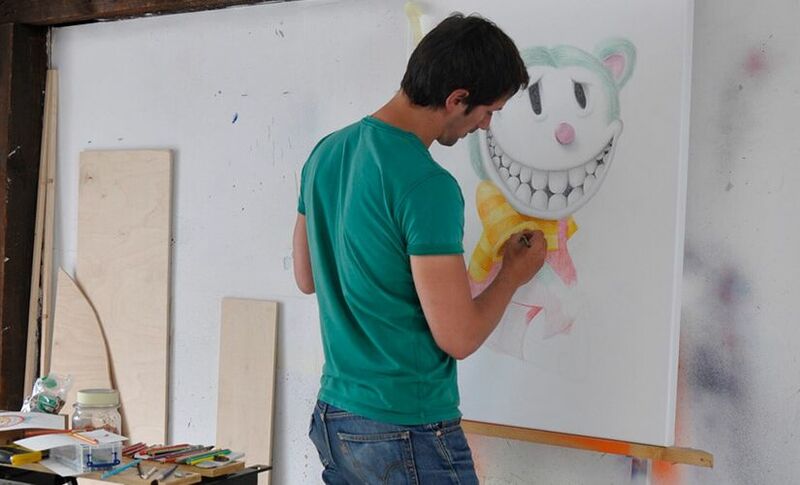 I also believe that if you give the artist complete freedom to work, you get the best result. We simply do not like being pushed in one direction. I have done some great projects, on the other hand, in which I had to work within certain rules, as long as I don’t lose myself. As an illustrator/artist, it is best to spread your work as widely as possible, which is why I try to take part in exhibitions a lot. Always nice in terms of atmosphere, you get direct feedback on your work and you meet many people. 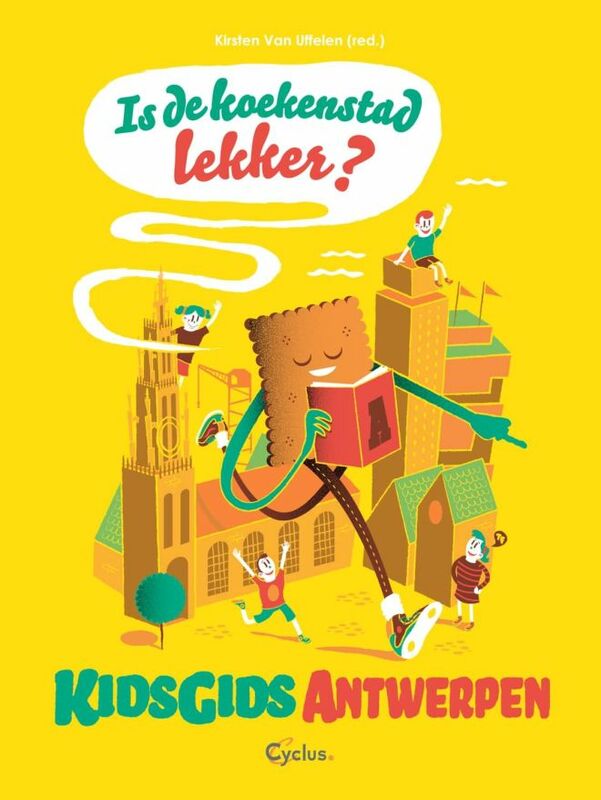 Is there enough demand and appreciation for illustrators in Belgium? In recent years, demand and appreciation have grown tremendously; we are finally getting more respect and are no longer labelled as: “the guy that draws little men”. You notice that newspapers, magazines, television and many sectors have teamed up with illustrators, who can even fill entire pages. It remains difficult for Belgium to make a name for yourself, you must continue to work hard to claim your place. But this way, you will, of course, be pushed to go on! I’m not someone who thinks in the future, I enjoy every step I make now. The feeling that I continue to grow in what I do is amazing in itself. I think creative freedom is the highest goal an artist can achieve, just doing you’re thing without money worries. I once saw a documentary about a Swedish illustrator, he was already in his eighties and still drew bears, crocodiles, etc., for children’s books. Well, I hope that at that age I will still be working passionately on my illustrations!